West Hampstead Area Guide - What makes West Hampstead so great? Where do West Hampstead locals go? The Cedar, West End Lane was voted the best takeaway restaurant in the UK in 2014 by Hungry House! One of the most highly recommended restaurants in West Hampstead - comfort food and jazz. Handmade chocolates in sumptuous surroundings, this shop is the perfect place to pick up a special sweet treat for chocolate lovers. In the heart of West Hampstead, you can indulge yourself in fantastic clothes at amazing prices! It's always busy and there are lovely ladies to help you. Great for all-day breakfast or brunch! This cafe serves the best baked potato in West Hampstead! Delicious wood fired takeaway pizzas. They also have a delivery service. Share your favourite place to go to in West Hampstead. Swiss Cottage's gorgeous period homes enhance the area's appeal. Beautiful surroundings, flowering garden, book-share, coffee cart, artwork on display. I love West Hampstead and NW6 as it is the area where the city and suburban wonderfully contrast. Being next to the beautifully dirty streets of Finchley road and the picturesque primrose hill and Hampstead. Kilburn market on ones doorstep gives more contrast and life to the area. Working class meets the middle class everywhere and with no issues. As a guy, I love the enormous dining and restaurant choices- eating is life and we eat well in West Hampstead! Parks and greens are numerous and of course the well renowned transport links. Living options are abundant with lovely road, blocks of flats and mansion houses from Victorian times. Secret museums and public spaces are waiting to be discovered in NW6 onto NW3. The sun always shines in West Hampstead I promise!! West Hampstead has its own character and energy, younger in vibe and edgy-er than neighbouring Hampstead, it has a classy community feel yet the lively bars and cafes entice you in when you walk up West End Lane. Peaceful residential streets and close to the Heath means you can escape the city but with three train lines you can get to work within minutes. I wouldn't want to live anywhere else! Because there are trees everywhere you walk. What do you think of West Hampstead? West Hampstead is an area in northwestern London, situated between Childs Hill to the north, Frognal and Hampstead to the north-east, Swiss Cottage to the east, Kilburn to the south-west, and South Hampstead to the south. Until the late 19th century, the locale was a small village called West End. In 1879, the Metropolitan Railway adopted the name West Hampstead for its station on West End Lane, the main road through the area. 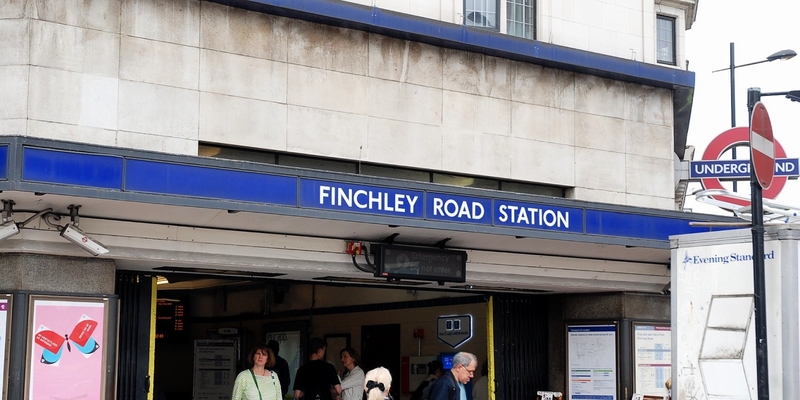 West Hampstead's proximity to the Metropolitan line at Finchley Road and its own Jubilee line stop (West Hampstead), together with a high concentration of bars and restaurants, means that the area is a popular leisure destination for people who live in the northwestern part of London. West End Lane itself is home to a number of cafes, bakeries and small shops, creating a "village" atmosphere during the day. In addition to the aforementioned London Underground links, West Hampstead is also served by West Hampstead railway station and West Hampstead Thameslink railway station. What are your favourite things about West Hampstead? Find out how much your flat or house is worth om West Hampstead. Feedback about living in West Hampstead has been submitted directly by the public and may not neccessarily reflect the views of Foxtons. The description of West Hampstead was modified from Wikipedia and is available under the Creative Commons licence. Land Registry data is Crown copyright. All the views and contributions contained within Foxtons Local Life are those of the contributors. All content is assessed before publishing for taste, however free opinion is encouraged. Foxtons accept no payment or sponsorship for content that is posted about West Hampstead.